Why wear period dress for dancing? The way we dress affects the way we move. 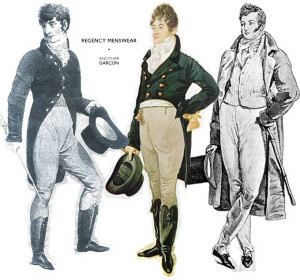 For those interested in recreating early dance, the wearing of good historical dress adds to the understanding of each period, indicating aspects of deportment, quality of movement and, importantly, restrictions on mobility. An upright, but relaxed, posture is essential. Imagine the changes we impose on ourselves when we change from casual wear to more formal clothes – perhaps wearing unaccustomed high heels or a collar and tie. Then try to imagine the restrictions imposed by corsets and a farthingale, or by a well-padded doublet and revealing hose, together with cloak and hat and perhaps a sword. Imagine too the opportunities for subtle flirting offered by gloves, fan or hat. Most periods before our own required elaborate hairstyles for the women, a hat and sometimes a wig for the men. Managing all of these in a dance is great fun, but takes practice! Before making any (irreversible) decisions, study as many pictures as you can relevant to your chosen period. The elaborate portraits to be seen in museums and country houses can often be found in costume history books, some of which also contain small-scale drawings of patterns. Remember that the sitter in a portrait may well have donned their very best for the occasion, including more finery (especially jewellery) than would normally be worn. Such exaggeration will not, however, disguise the essential details of garments, fastenings, hairstyles, and so on. Google Images is a wonderful resource and the Early Dance Circle now has its own Pinterst pages. For most dancers, authenticity need not be 100%. It is sufficient that the finished garments should reflect the style of the period in colour, in approximate quality of material and, particularly, in silhouette. All these will be affected by factors such as your choice of social class (courtier, merchant or peasant), your own age or the age of the character you wish to represent and, finally, whether you wish to follow authenticity by having everything hand-sewn for any period before the late nineteenth century. What is essential, both for the look of the finished garment and for the feel of moving and dancing within it, is to have the correct underwear – especially a corset, farthingale or hooped petticoat for the woman. The social class you wish to represent determines the choice of fabric, its colour and the amount and quality of trimming. Sumptuous brocades, cloth of gold or silver, silk, and the use of fur – except for warmth in winter – were the prerogative of the upper classes. Linen, cotton or woollen fabrics are suitable for many periods and social classes. Furnishing fabrics can give the weight and close weave of the past, but note that some curtain fabrics are unnaturally stiff and will not drape convincingly. For dancing, you want fabric that moves well. The lower classes used plant dyes, producing earthy browns, greens and red/orange shades. Their fabrics were generally plainer and often of coarse woollen material. More expensive colours were available to the upper classes, though the use of these could be restricted by sumptuary laws. The bright colours produced by modern chemical aniline dyes should not be used before the later Victorian period. Black was generally a sign of mourning or of considerable wealth, because of its expense. Lilac shades were used to denote ‘half-mourning’, particularly in the time of Jane Austen. These are an essential part of the finished outfit. Hats and headdresses, shoes and shoe-decorations, fans, gloves, and the correct rings and jewellery do much to add authenticity to one’s appearance. Spectacles in period style can sometimes be found, if contact lenses are unwelcome. Do not forget to complete the effect with an appropriate hairstyle and cosmetics. Theatres, amateur and professional, may be willing to hire out their costumes as individual items or sets. They may occasionally sell surplus garments. Costume hire shops hire costumes by the day or by the week. Such clothes are designed to withstand abuse when used as fancy dress and, unfortunately, are therefore often made in inappropriate materials, so as to be machine-washable. They are made to be simple to put on and are likely to lack the integral stiffening and the appropriate undergarments needed to look authentic. Dance groups may know where you can buy a costume or be willing to help you begin making one. Making a period outfit requires hard work and dedication, but dancing in one that you have made yourself is extremely rewarding. After choosing your style (see the paragraph on Research, above), you can consult books and web sites on costume-making for the theatre, as well as those describing actual surviving garments. Occasionally, modern dress patterns can be adapted; published small-scale patterns of historic garments can be ‘sized-up’. Alternatively, some full-size patterns are now becoming available. Dance groups often have members who make costumes for new members or can recommend someone to help. If you do not feel confident enough to make your own outfit, you can have one made for you. There are a number of experienced specialists who can work from basic illustrations. Good costumiers will discuss your requirements in great detail, and costume societies are usually very willing to give advice. The job will not be done cheaply, so make sure that the specification is sufficiently detailed to guarantee that you get exactly what you have asked for and what you are paying for. A well-made outfit is nevertheless a joy to wear. J. Arnold, Patterns of Fashion 1: Englishwomen’s dresses and their construction c.1660-1860 (London & New York, 1964; 2nd ed., 1972). 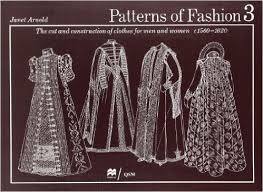 J. Arnold, Patterns of Fashion: the cut and construction of clothes for men and women c.1560-1620 (London & New York, 1985). N. Bradfield, Historical Costumes of England 1066-1968 (London, 1977). N. Bradfield, Costume in Detail: women’s dress 1730-1930 (2nd ed., London, 1981). 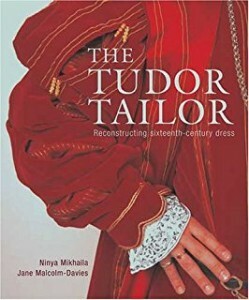 R. I. Davis, Men’s 17th & 18th Century Costume, Cut & Fashion (Studio City, CA, 2000). A. Hart & S North, Historical Fashion in Detail, the 17th and 19th centuries (London, V&A, 2002. J. Huggett, J. Malcolm-Davies, N. Mikhaila, P. Michael, The Tudor Child: Clothing and Culture 1485 to 1625 (London, 2013). J. Hunnisett, Period Costume for Stage and Screen: outer garments, Books I & II (Studio City, CA, 2000, 2003). J. Hunnisett, Period Costume for Stage and Screen: patterns for women’s dress 1500-1800 (London, 1986). J. Hunnisett, Period Costume for Stage and Screen: patterns for women’s dress 1800-1909 (London, 1988). J. Hunnisett, Period Costume for Stage and Screen: patterns for women’s dress, Medieval-1500 (London, 1996). 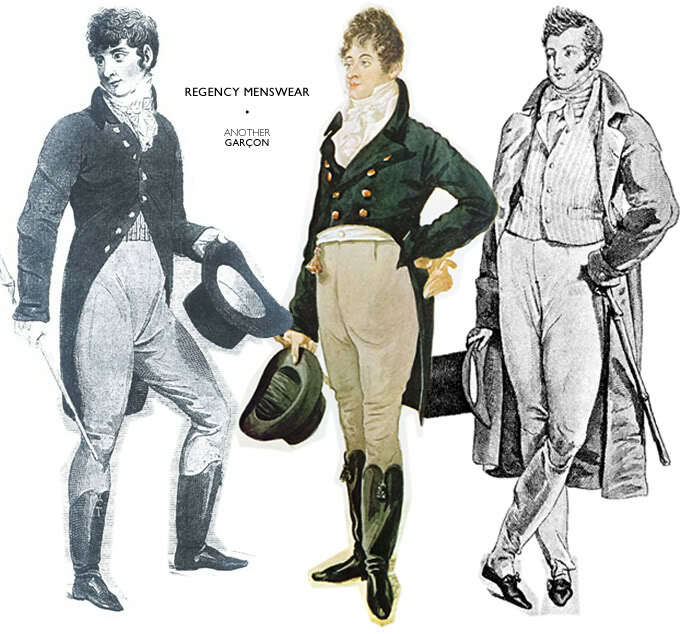 L. Johnston, Nineteenth-century Fashion in Detail 2nd ed. (London, V&A, 2009). J. Tiramani, C. Thornton, L. Costigliolo, A. Lucas & S. North, Seventeenth-century Women’s Dress Patterns. Book One. (London, V&A, 2011). S. Thursfield, The Medieval Tailor’s Assistant: making common garments 1200-1500 (Bedford, 2001). N. Waugh, Corsets and Crinolines (London, 1954). N. Waugh, The Cut of Men’s Clothes 1600-1900 (London, 1964). N. Waugh, The Cut of Women’s Clothes 1600-1930 (London, 1968). Research into the costume of all eras is the passion of the Costume Society, www.costumesociety.org.uk. As a registered charity with educational aims, the Costume Society offers a number of awards and bursaries to students, researchers and trainee museum curators.